The balance of comfort and utility defines a well planned bedroom. The master bedroom should reflect the overall design of the house and personality of the owners. 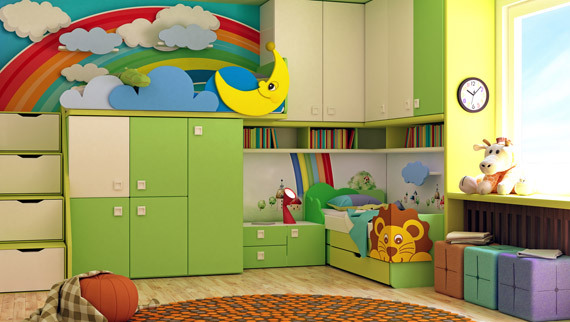 Children’s bedrooms combine functionality with creativity and individuality. Guest rooms are a haven of security and entertainment meant to soothe a guest while also maintaining functionality. Creating these spaces in a home will add value while improving the lives of occupants. Obtaining them may be as easy as purchasing new furniture or as difficult as an addition or re-build. Keep the balance of life and luxury in mind to create bedrooms with purposeful style. Many master bedrooms house two individuals. The décor, layout and even placement within the house all must please both people. A house with a poorly placed master bedroom, like off the downstairs kitchen, will not hold the value of other homes. A master suite secluded in a corner of the house appeals to the idea of seclusion and retreat. Remodeling a master bedroom to add on features like a fireplace, more room, extra storage or a bigger bathroom adds value to a home. Just remember, the master bedroom reflects the over all feel of a house. If the room is too grandiose or too compact for the house, buyers or homeowners will feel that imbalance. The wonderful thing about child oriented bedrooms is the limitless boundaries. Function can come in so many options because the idea does not have to conform to classic ideas or compliment the rest of the house in any way. Encourage children as individuals through fanciful decorations and play spaces. The key to a balanced child’s room is storage and creativity. Enough space for organization while also offering room for creativity will help expand growing minds through play, sleep and study. The addition of a guest room to any house adds value instantly. This room has so many dual possibilities. The value could come from a larger family needing the space or someone looking to entertain guests. A guestroom should always welcome the guest while giving them privacy. However, a room with little use will not be cost effective. Using a guest room as a study, game room or extra storage is a good way to keep its value. Just make sure a guest does not feel overwhelmed by the room’s dual nature. Remodeling or relocating a bedroom within a house only adds value when done correctly. Cluttering a home or unbalancing a home because of poor bedroom planning is an unfortunate situation. Allow the experts to help! D.R. Hartman Construction Inc. is a Maryland general contractor company which offers quality residential construction, remodeling and renovation. Contact our team today for a free initial quote or consultation.